This article is about the backup of an Oracle database. As DBA we are well known about the types of backup. Mainly we have two kind of backups in Oracle database first one is physical and another one is logical. Each type of backups is important in Oracle database’s life maintenance. 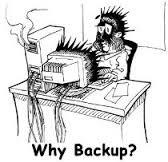 It depends on projects and client’s requirements that what kind of backup must be taken. This article gives you information of backup while our database is in no archive log mode. Keep point in your mind that normally in the daily life of business our database is always in archive log mode and being responsible Oracle DBA it is our responsibility to keep the database in archive log mode. In normal life, Without a backup of anything, we can not restore same rule for the journey of the database, Let’s take a look at real life scenario of backup of the database in non archive-log. I suggest also to configure the NLS_DATE_FORMAT environment variable: it’s useful when you want to know from RMAN the exact date including time format a problem occurred. By default, RMAN displays only the date. Our database id is ORCL , no NLS variable sets. the database in Noarchivelog mode. What does it happen when we backup database when it’s open and in NOARCHIVELOG… ?Here we are not using recovery catalog for these examples as you may have look on it. [oracle@localhost ~]$ rman target / Recovery Manager: Release 11.2.0.2.0 - Production on Sun Jul 15 05:36:18 2012 Copyright (c) 1982, 2009, Oracle and/or its affiliates. All rights reserved. connected to target database: ORCL (DBID=1229390655) RMAN> backup database; Starting backup at 15-JUL-12 using target database control file instead of recovery catalog allocated channel: ORA_DISK_1 channel ORA_DISK_1: SID=32 device type=DISK channel ORA_DISK_1: starting full datafile backup set channel ORA_DISK_1: specifying datafile(s) in backup set RMAN-03009: failure of backup command on ORA_DISK_1 channel at 07/15/2012 05:36:42 ORA-19602: cannot backup or copy active file in NOARCHIVELOG mode continuing other job steps, job failed will not be re-run channel ORA_DISK_1: starting full datafile backup set channel ORA_DISK_1: specifying datafile(s) in backup set including current control file in backup set including current SPFILE in backup set channel ORA_DISK_1: starting piece 1 at 15-JUL-12 channel ORA_DISK_1: finished piece 1 at 15-JUL-12 piece handle=/home/oracle/app/oracle/flash_recovery_area/ORCL/backupset/2012_07_15/o1_mf_ncsnf_TAG20120715T053641_805gbvhz_.bkp tag=TAG20120715T053641 comment=NONE channel ORA_DISK_1: backup set complete, elapsed time: 00:00:01 RMAN-00571: =========================================================== RMAN-00569: =============== ERROR MESSAGE STACK FOLLOWS =============== RMAN-00571: =========================================================== RMAN-03009: failure of backup command on ORA_DISK_1 channel at 07/15/2012 05:36:42 ORA-19602: cannot backup or copy active file in NOARCHIVELOG mode RMAN> exit Recovery Manager complete. As you can easily read from the RMAN log put on screen you… “ORA-19602: cannot backup or copy active file in NOARCHIVELOG mode”. To backup a database in NOARCHIVELOG mode you have to shutdown it first, open in mount mode and only then you can start your backup process.